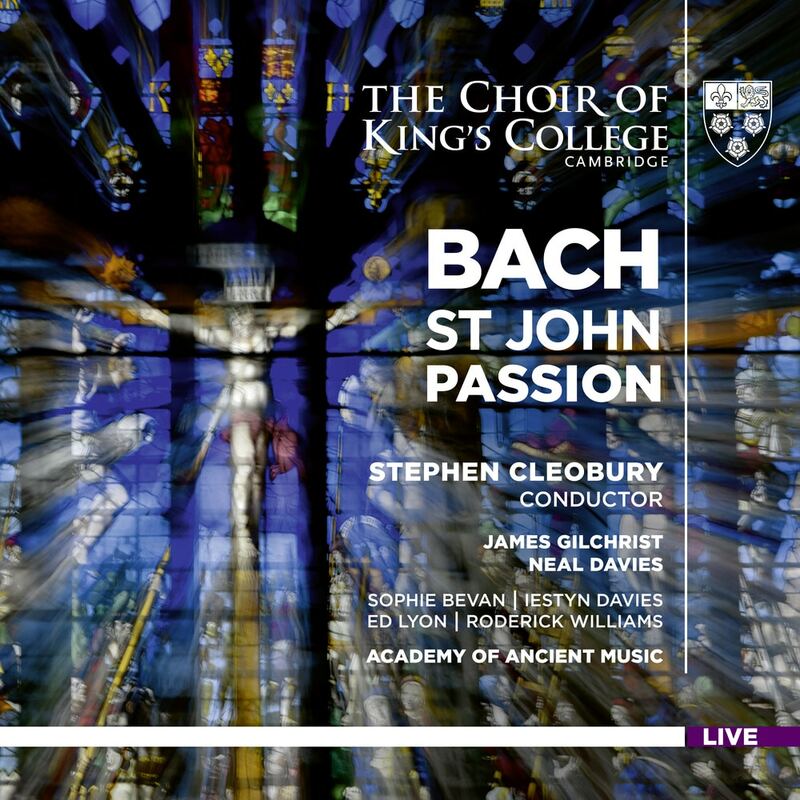 Stephen Cleobury and the Choir of King's College, Cambridge are joined by the Academy of Ancient Music in Bach's much-loved St John Passion. Captured live in 2016 during Easter celebrations at the College, it features an all-star line-up of soloists who are renowned for their handling of the repertoire, including King's alumnus James Gilchrist as the Evangelist and Neal Davies, Cardiff Singer of the World prize winner, as Jesus. The St John Passion presents the dramatic narrative with a concentrated sense of urgency, in contrast to the vast proportions of the St Matthew Passion. Many of the arias are deeply reflective and expressive, none more so than Es ist vollbracht!, in which the countertenor – Iestyn Davies – and the viola da gamba weave their melodies together in the most beguiling way.